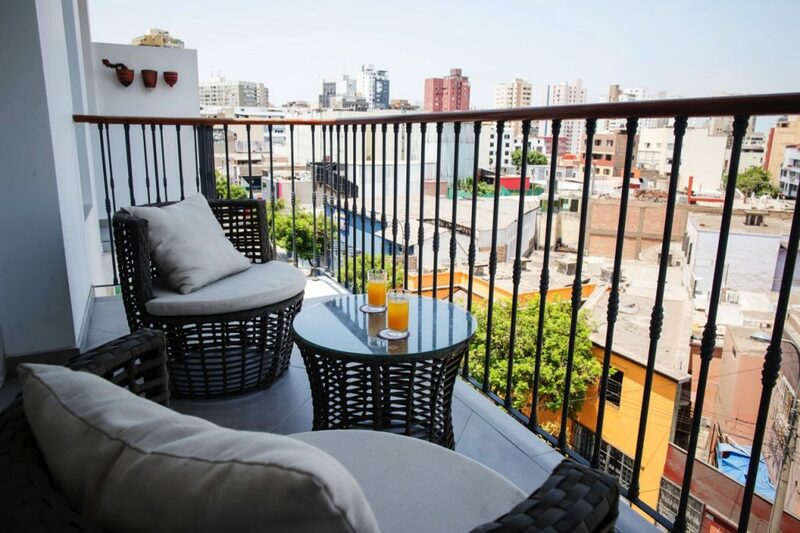 You are invited to experience an exclusive and unforgettable stay with Hotel Casa Cielo, in the heart of Miraflores. 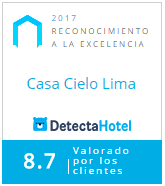 Our independently owned and managed hotel has, for the last three years, provided thousands of our esteemed guests with the best in class service and location in Miraflores. 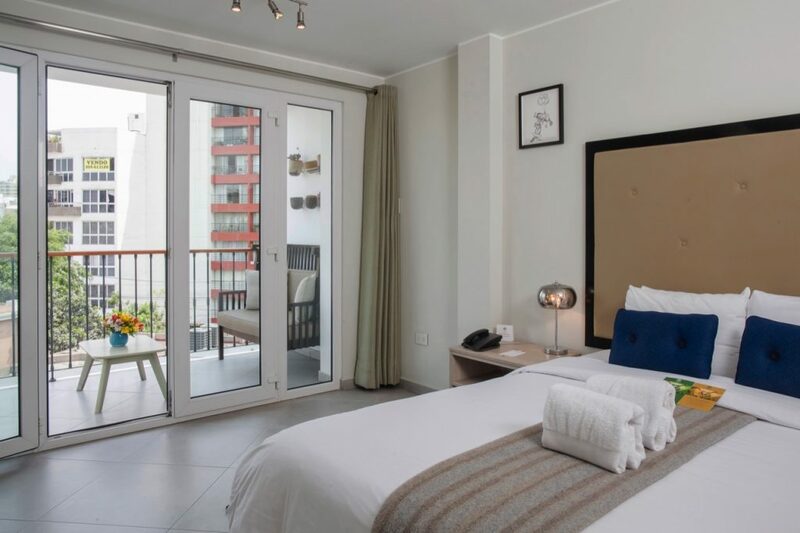 Our 20 room boutique hotel is located just three blocks from the heart of Miraflores, Parque Kennedy & the main church "Virgen Milagrosa". 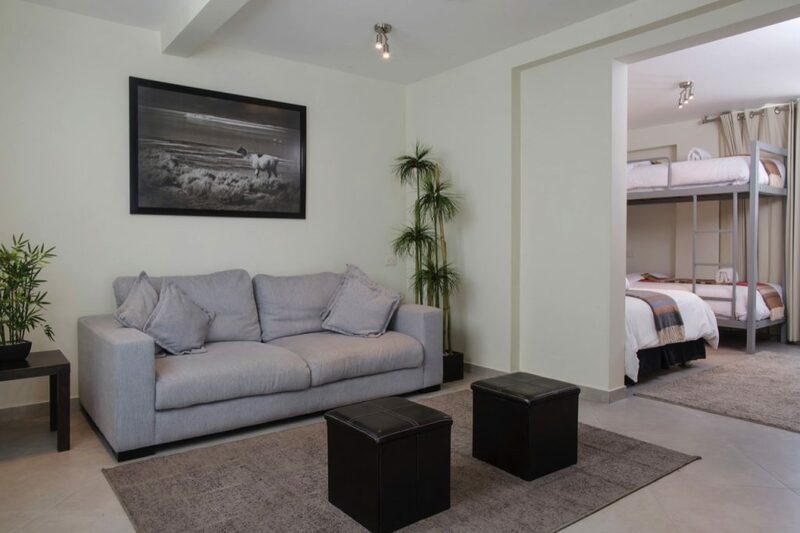 We are just a short walk from "El Malecón", a stunning six-mile stretch of parks situated along the cliffs high above the Pacific Ocean, which in our opinion is the jewel in the Miraflores crown. 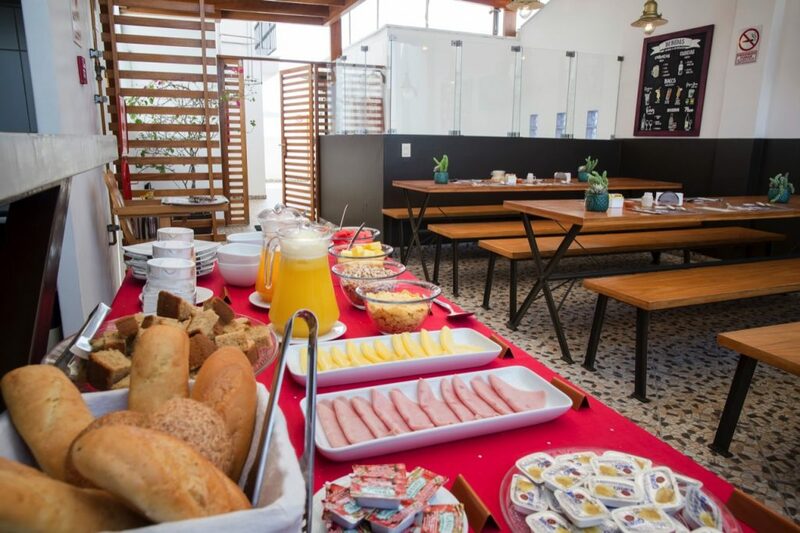 This long boulevard opens up to main tourist attractions like the beautiful Larcomar complex with its wonderful restaurants and sunset views & shopping experience, Parque de Amor (park of Love) and Paragliding over the cliffs of Lima and the Pacific Ocean. 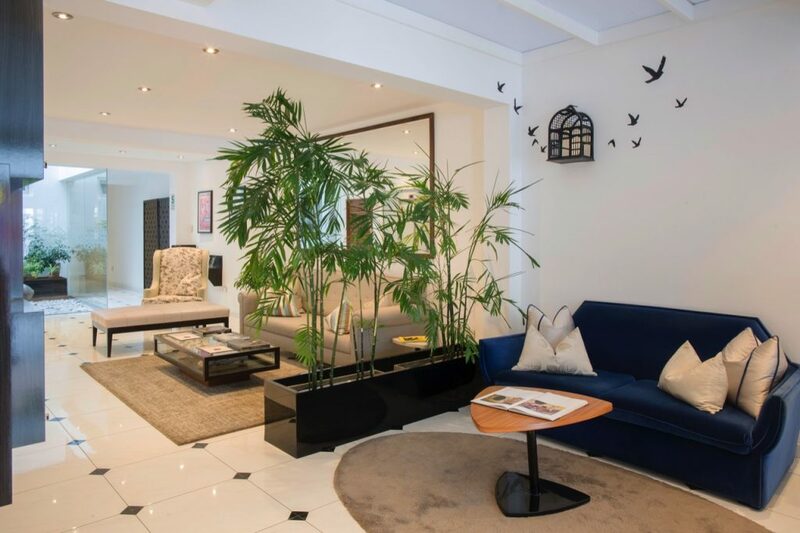 Our small boutique hotel surrounds guests with clean and modern design, our friendly staff will ensure your experience is home from home rather than a typical hotel. 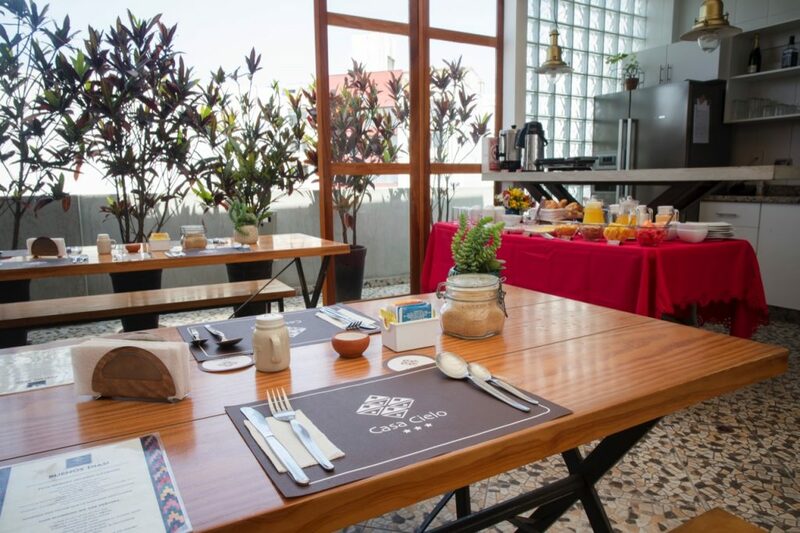 Welcome to Hotel Casa Cielo, Lima Peru! 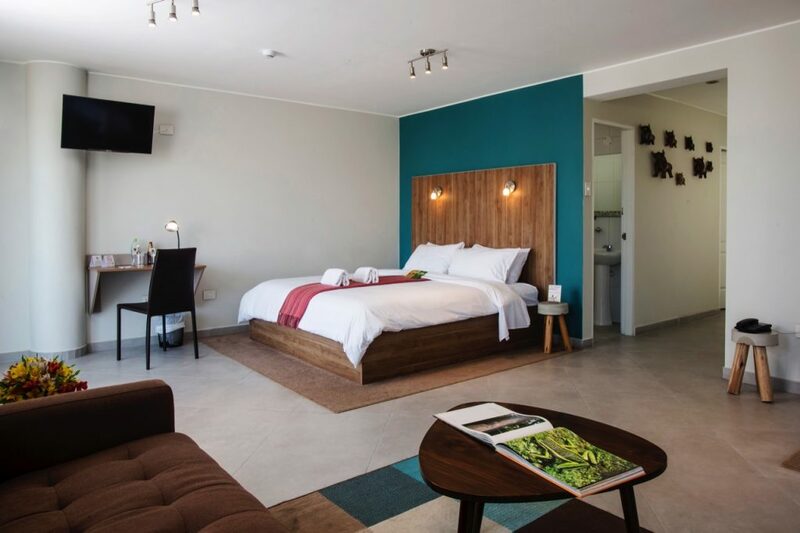 Our 8 different room types, ranging from Small Single rooms to Double Rooms, through to our Executive Suite (sleeps up to 4 people) are all fitted with double-glazed windows, flat screen TVs & strong & hot showers, ultra clean bathrooms makes our hotel perfect for singles, couples, business class or families to stay with us. 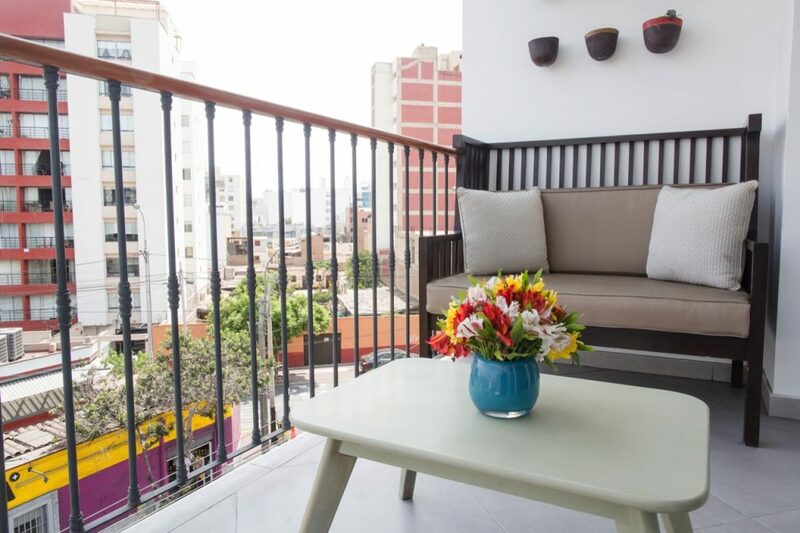 Note that some of our rooms enjoy small and large balconies, a very rare thing in Miraflores, and so we invite you to review our rooms here, or of course contact us with any questions. 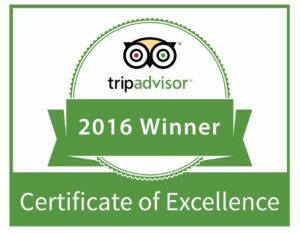 Although we are a small independently owned and managed hotel, with competitive and accessible rates, you can rest assure that we strive at all times to provide a 5-star service will make all the difference. 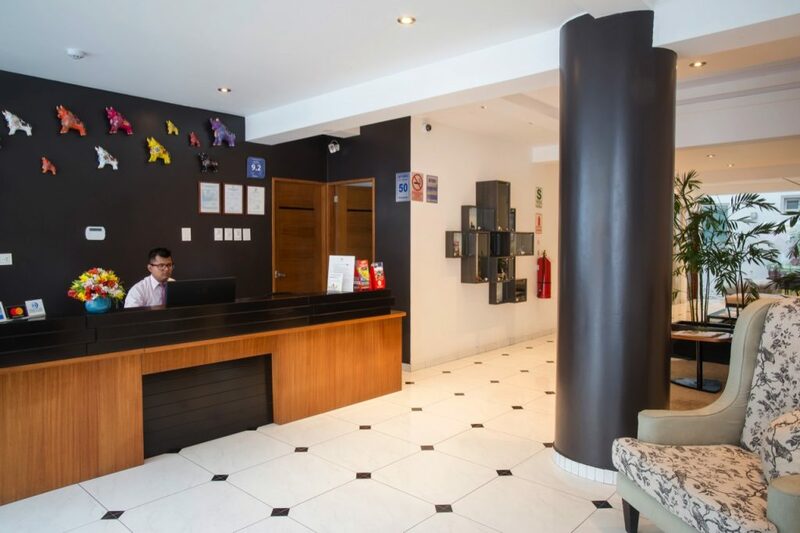 Our exclusive location in Miraflores provides that safety feeling to go for a walk at any time during the day or night and we provide a 24 hour front desk service. 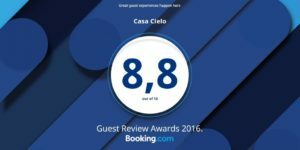 You will find that Hotel Casa Cielo has been awarded the TripAdvisor Certificate of Excellence, won Top Travel Specialists Choice Award on Zicasso and comes highly recommended on Booking.com, Expedia, Hotels.com, Lonely Planet and many other important travel guides around the world. 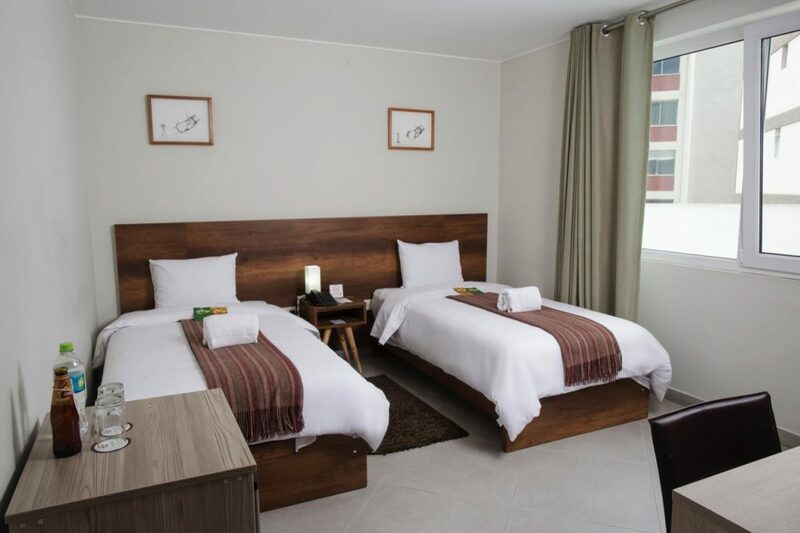 We are about only thirty to thirty-five minutes from the airport (although we recommend you allow an hour because of the Lima traffic) and we can book, on your behalf, a trusted executive-class airport to hotel taxi service. 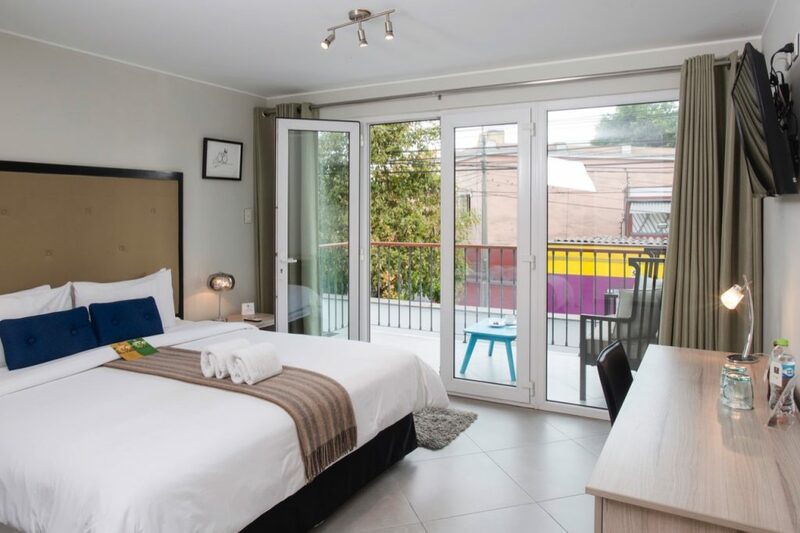 Click the following link for information about our reservation terms and conditions and please feel free to contact us here to inquire about our hotel, our rates and any of the services we have mentioned here. 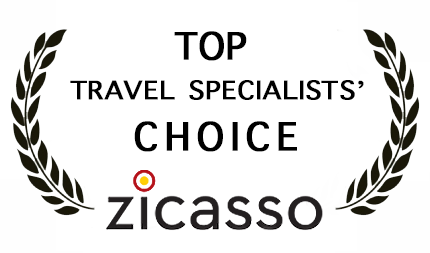 Our friendly & professional front desk team speak Spanish & English.